Also, they’ve more than established it’s going to be an RPG. Mounted combat, dialog wheels, a vast open world to explore, loads of enemy types, environmental destruction, and hordes and hordes of loot to collect- if Guerrilla Games wanted to totally hammer Horizon being an RPG in (which, believe it or not, many people doubted after the game debuted at E3 last year, because apparently the footage and Guerrilla Games saying it was an RPG wasn’t enough), today’s footage will definitely have done that, and done that hard. And if this new footage, looking as incredible as it does, won’t ell you on the game, then nothing will (and also, you possibly have no soul, so I would get that checked out). 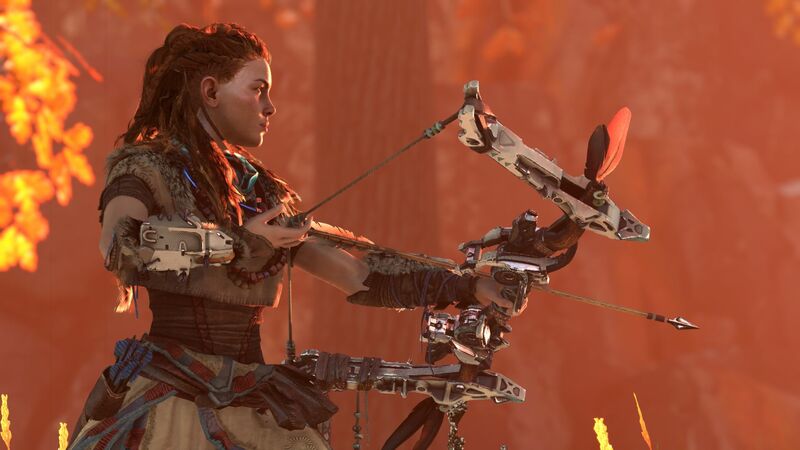 The game looks incredible, and the only question I find asking myself is how Guerrilla Games went from something as fundamentally mediocre as Killzone to something that looks as great as this. Horizon will launch exclusively on PS4 on February 27, 2017.